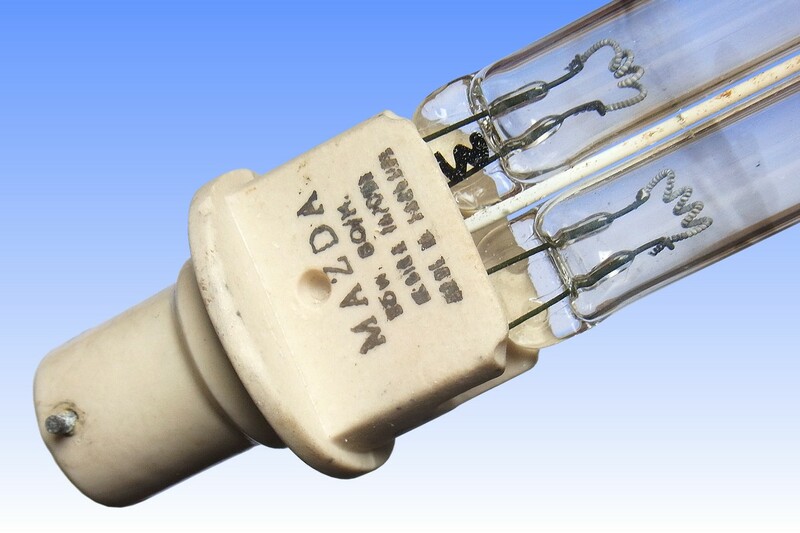 This SO/H sodium vapour lamp was one of the first Mazda lamps to be manufactured after the parent BTH company had become Associated Electrical Industries. The lamp is still in perfect condition with its original packaging. For many years, the 85W lamp had been a particularly troublesome animal for BTH and AEI to manufacture reliably. 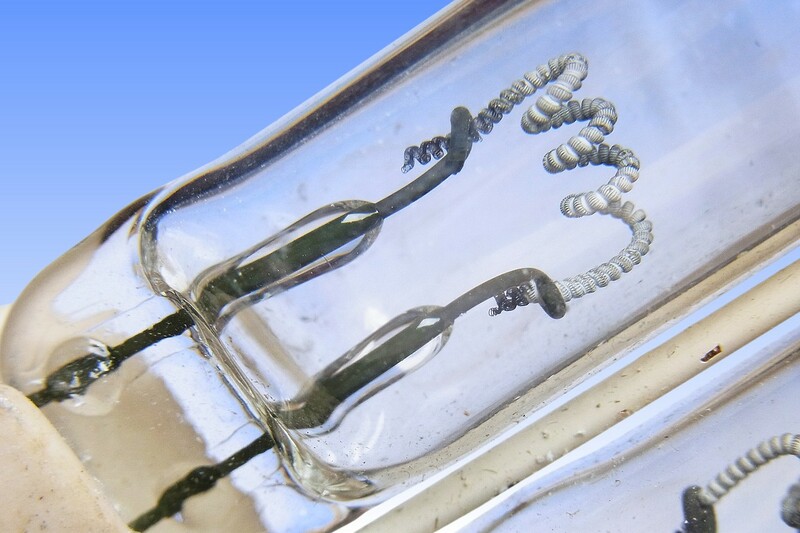 All of the company's low wattage lamps were produced from hand-drawn glass tubing being in the region of 13-15mm outside diameter, while the large 140W rating was made in 15-17mm glass. 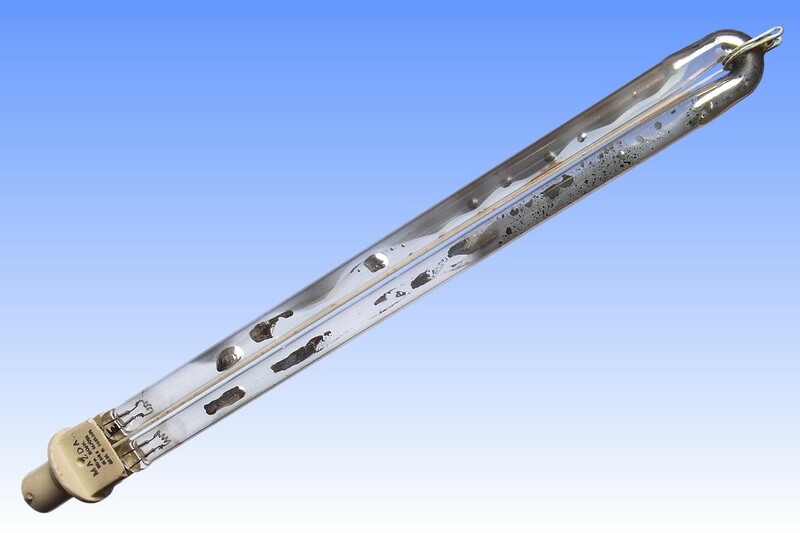 The 85W lamp presented a number of technical problems because owing to its high power in the small size tube, it had a relatively high loading on the glass. This resulted in the argon content of the gasfill being cleaned up at a faster rate, and subsequently the striking voltage of the lamp rising above what the ballast could supply - often quite early in life. 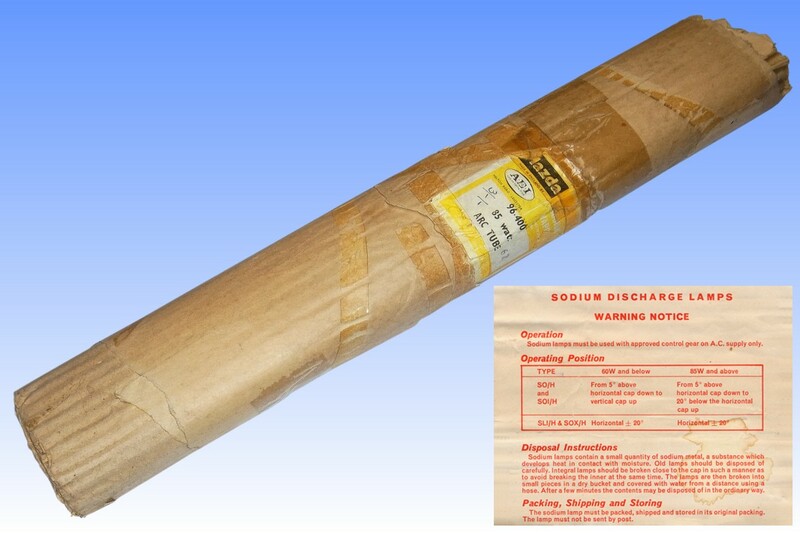 To combat this, tubing was sorted into batches with the larger 14-15mm diameter tubes being employed for the 85W rating, while 13-14mm stock was saved for lower wattages. Such practice was not necessary for competitors lamps whose soft glass tubes offered lower argon cleanup, but would often crack. 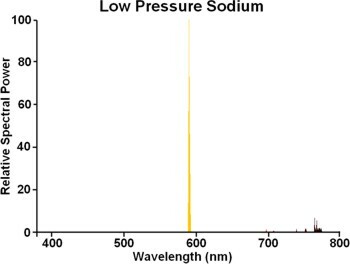 Following a discovery by the GEC that the introduction of trace amounts of xenon could reduce the rise in striking voltage, BTH and AEI also experimented with this technique. This lamp almost certainly employs some 0.05% xenon, however this was reserved only for the difficult 85W size which really needed it, because the inclusion of xenon resulted in a loss of up to 12% lumens. 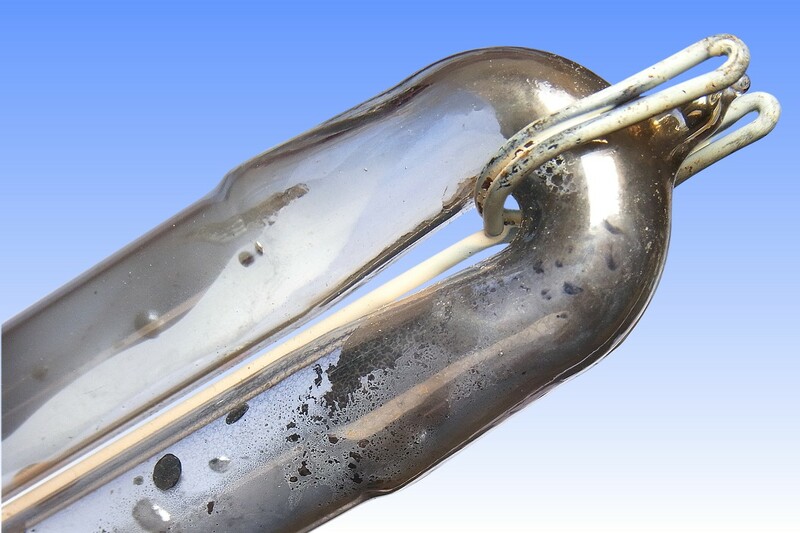 As an additional measure to facilitate starting, 85W lamps were also siliconed with a moisture-repellent coating.